…anxious because I started a new layout that’s been in my head for a few years, and I’m anxious to see it come together! On the plus side, I’ve managed to corral all my stickers into one binder, so they’re organized (I like being organized). 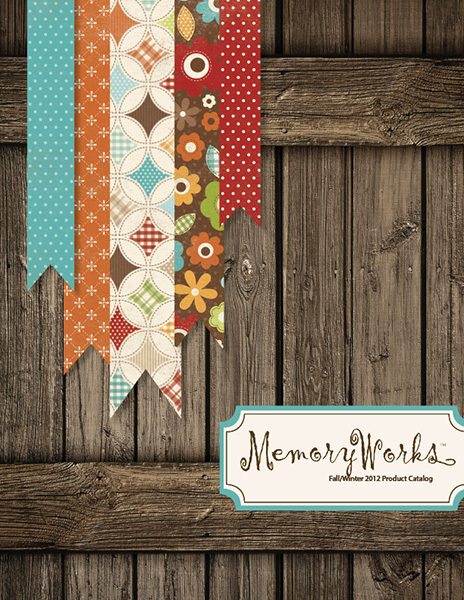 And to let you know, the Memory Works October express kit is awesome!! Than again, I LOVE, LOVE, LOVE (can you tell I love it :P) Halloween! I’m decorating my place this weekend! 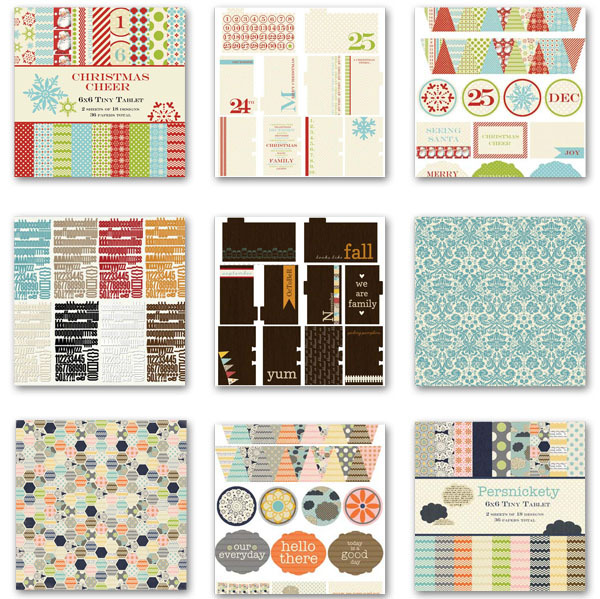 And these look like a great combination of vintage patterns for the holiday! 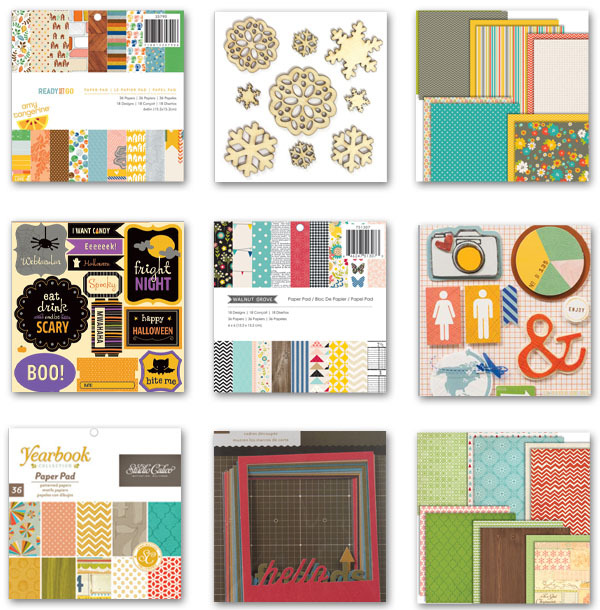 Also remember the new catalog has launched and the warehouse sale is still going on, and stuff is going fast! Get it before it’s gone! surprised yet again by how I can get inspired by anything (or just about) and also because I figured out a few things for my scrapbooking. One, I do not (but would really like to) own any spray/mist ink. I see all these cool pages where people do masks and stuff. Well, while I don’t have that, I do have paint, and water. So I’m going to try mixing the two and see what kind of effects I can make. Wish me luck! 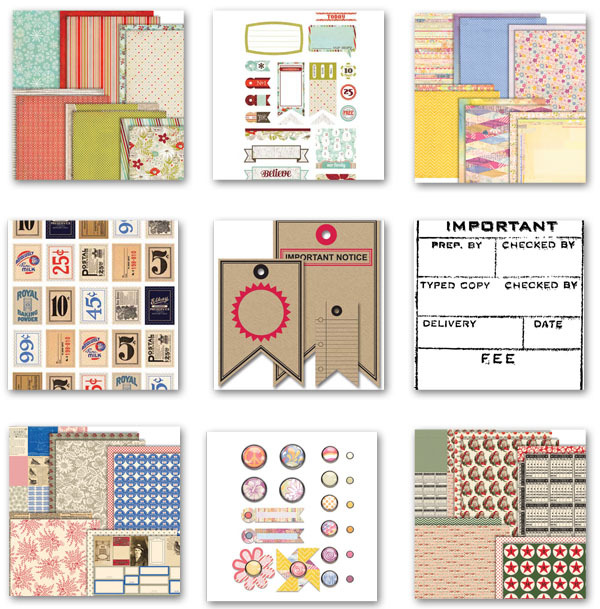 So I have some more Memory Works stuff to share with you, as well as one of my lovely layouts. A terrific kit for the kiddies going to school, whether it’s their first time or they’re seasoned pros 🙂 This can also be used for non-school pages and projects, just use your imagination. Or if you love the kit, but need help with the work, email me and we can figure something out. Just click on the catalog image and you’ll see the catalog in its full glory. (Keep in mind it’s around 60 pages, so it’ll take a minute to load up, but it’s ssoooooo worth it. I wasn’t entirely sure whether to post this, but another blogger here on WordPress did, so she inspired me to post mine. I had a very dark time in my life a few years ago, and came out of it better than before. The layout originally came about from a March challenge from Memory Works. 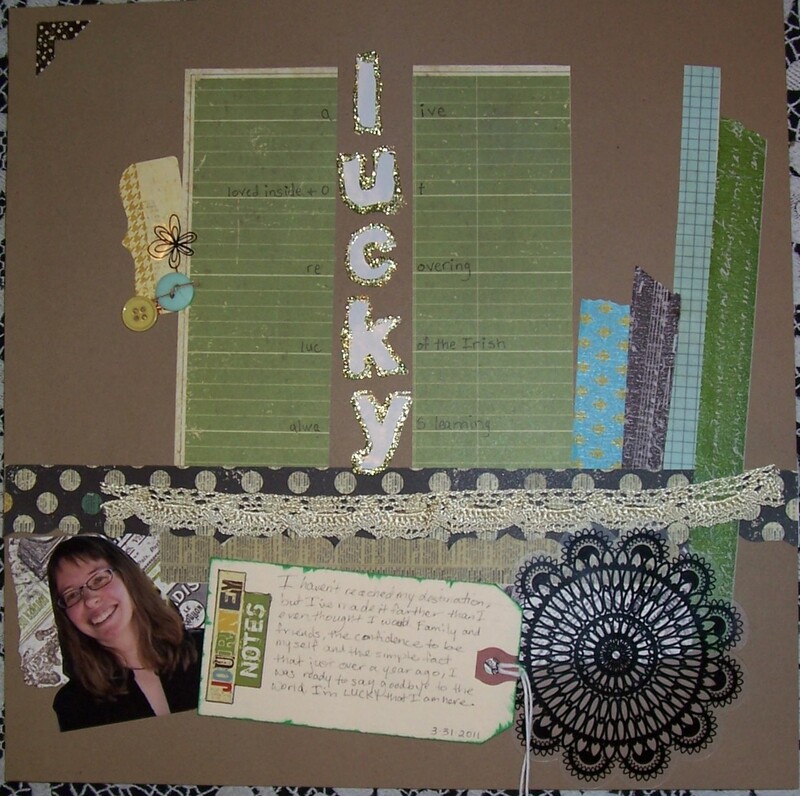 The challenge, being for March and therefore St. Patrick’s Day, was to do a layout showing how you’re lucky (lucky to have hubby, friends, kids, job, whatever). Just about all the supplies came from either the MW January 2011(?) Express Kit and MW Simple Stories Destinations line. Other supplies are: 7Gypsies Avignon decorative tape and double-sided paper, Avery journaling tag from OfficeMax, Studio G green glitter glue, a Colorbok’s Lucky You transparent flower sticker, white letter stickers (“lucky”) and a photo corner that I got eons ago. Thank you for looking and happy scrapping! So please enjoy, comment, or follow me if you like, and please contact with me with any questions or requests. First off, the September Hostess Incentive! This comes to us from Amy Tangerine and if you know anything about Amy, you know she LOVES colors! What’d I tell ya, some great stuff, right!! 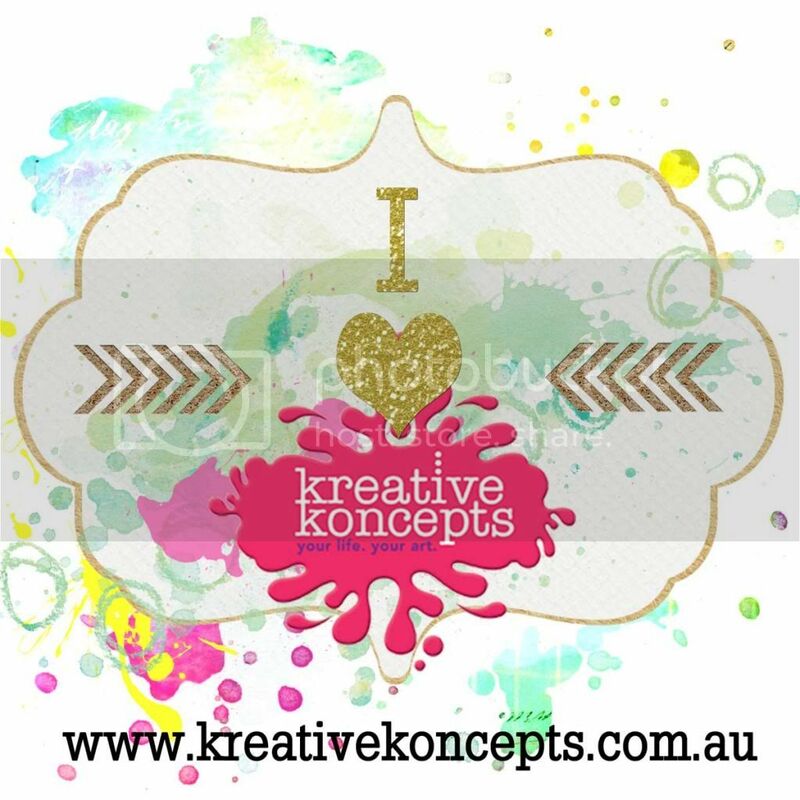 If anything catches your fancy, drop me a line and we can talk! Also please feel free to ask questions about the Hostess Incentive, I can work with you. So happy ogling and drooling (figuratively speaking, best not to get the keyboard or paper wet)!